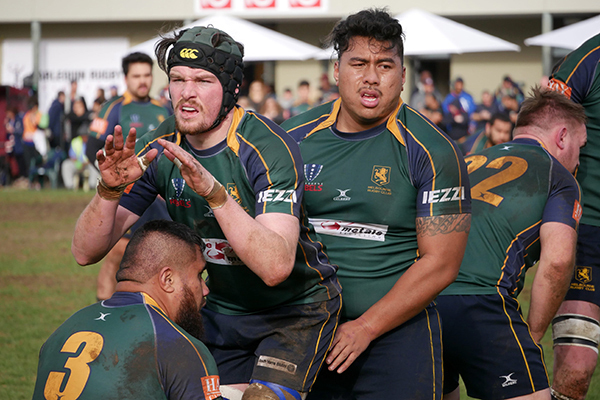 It has been 32 years since a team last won four Dewar Shield premierships in a row. Harlequins will get their chance to break the drought this Saturday when they face Melbourne in the grand final at RHL Sparks Reserve. Melbourne are no strangers to the situation Harlequins find themselves in – they were the last team to fall short of four premierships in a row. With a shot at history on the line, Harelquins coach Pom Simona said his team is focusing on treating the game as a one-off. “The other games we’re played throughout the year won’t mean anything to them, or us. This is a one-off game, anything can happen and that’s how we’re treating it. The teams have met three times this season, most recently just two weeks ago in the semi-final where Harlequins prevailed 27-11. Edwards said his team will be going in as underdogs but can pull off an upset if they stick to what got them to the finals. “We’re definitely going in with the underdog tag but we’re quietly confident that if we stick to our structure and game plan there could be an upset on the cards. “We’re not doing anything different, we’re focusing on getting our basics right and our structures right because it’s pointless to change anything now. We’ve made it to the grand final so obviously what we have been doing is working. “We’ve got a few tricks up our sleeves but in finals football it’s about taking every opportunity which comes your way and making it count. We’ve got to play our best game all year to get over them. Simona said he expects the Unicorns to attempt a similar game plan to the one that was successful again Box Hill in the preliminary final last week. “We were really impressed with their game last week, so I don’t see them changing too much from the way they played. Albert Tokahere, Mahe Vailanu, Angus Arundel, Steve Cummins, Murray Douglas, Zac Dixon, Sione Taufa, Simei Kolio, Lucky Mulipola, Lloyd Johansson, Ahmu Tuimalealiifano, Eli Vole, Oliva Sialau, Leo Owade, Rian Oliver. Reserves: Stan Ta’Ufo’Ou, Jack Hollingsworth, Vince Foluena, Ta Hosea, Mana Faraimo, Ant Van Zyl, Taylor Acheson, Majokah Schuster.